Ugandan born goalkeeper George joined us from Ashford United in the summer. He is a tall commanding keeper who provides a solid base for the rest of the team. George's former clubs include Greenwich Borough, Tilbury, Grays Athletic, Brentwood Town and Potters Bar Town. Joining in February, Tony is a solid keeper who was originally was at Dartford but has also had spells with Rochester United and Lordswood. Sixteen-year old Alistair has come through the Hythe Town Youth set up and is gaining invaluable experience working within the first team set up. Right back, Salvyn joined the club from Sittingbourne during the 2017-2018 when he made an immediate impact on the team. He is a strong defender who has also had spells with Folkestone Invicta, Wrexham, and Swindon Town. 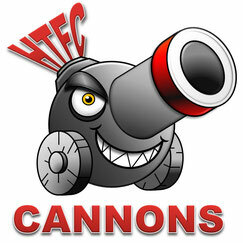 Young defender who joined the Cannons from Margate in February having come through their youth set up. Jack is a bright prospect for the future. Mitchell is a young defender who came through the youth set up at Gillingham. He had two appearances for the Gills with his senior debut in the EFL Trophy game against Luton Town back in August 2016. He made one league appearance as he came on as a first half substitute at Bury in March 2017. During his time at Gillingham he had loan spells at Whitstable Town, East Grinstead Town and Hastings United. An experienced ex-Hastings United Central Defender, Ollie Rowe joined, from Ashford United in January. Ollie has finally put pen to paper after being a target for the Cannons last season. He started his career at Brighton & Hove Albion before moving to Eastbourne Borough. He has also had spells with Chelmsford City and Lewes. Southend born youngster Elliott has joined us last season on loan from Maidstone United where he worked through the Academy. He left to jon Heybridge Swifts but has since returned permanently to Hythe. He also had a short spell last season at Hollands & Blair. Experienced midfielder, Chris joined us in January from Tonbridge Angels. Son of the Dover manager, he also has National League experience with Dover Athletic. Former Gillingham youth player, Charlie joined Tonbridge Angels following a short loan spell after being released by the Gills. He joined Hythe in the summer of 2016 putting in some valuable performances before injury put an end to his season. Tom signed in February from Herne Bay. He is an attacking midfielder who spent his school years in the youth set ups at Chelsea and West Ham United before joining Colchester United in their Academy. Zak is a former Arsenal Academy player who left Arsenal to join Charlton Athletic but did not get a first team outing. He did however go out on loan to Plymouth Argyle where he played eight times and then went to Newport County where he had 13 games. He played for Woking last season in the National League. Sid started his career at Tonbridge Angels before moving to Margate in 2016. He is a dangerous attacking striker who is in his second loan spell with the Cannons. He has also been on loan at Whyteleafe, Ashford United and Sevenoaks Town. He also had a spell at East Grinstead Town earlier in the season. Hythe managed to prise experienced winger Ryan Palmer away from Ashford United during the summer of 2017. Ryan is a threatening winger who creates endless opportunities. He has also had spells at Fisher, Hendon, VCD Athletic, Sittingbourne, Erith & Belvedere and Tooting & Mitcham United. Kieron is an exciting speedy winger who joined the club from Faversham Town in January 2017. He has also had spells with Whitstable Town and Fisher.